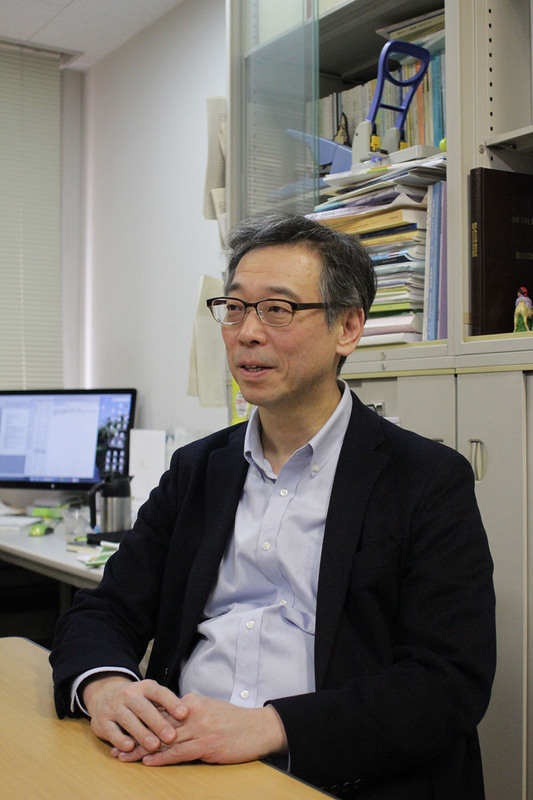 Interview with Professor Nobuyuki Yagi, who is Associate Professor of Resource Economics and Marine Policy at University of Tokyo’s Graduate School of Agriculture and Life Sciences. Before joining the University of Tokyo in 2008, he had worked for the Fisheries Agency of the Government of Japan. From 1999 to 2002 he was First Secretary at the Embassy of Japan in Washington D.C., USA. He served as a bureau member for the OECD Committee for Fisheries from 2003 to 2008. He received a graduate degree (MBA) from the Wharton School of University of Pennsylvania, Philadelphia, USA, and a doctoral degree from the Graduate School of Agricultural and Life Sciences at the University of Tokyo, Japan, in 2008. Professor Yagi, you switched during your career between the policy level and science. So why did you choose science in the end? I did my MBA in Pennsylvania, USA, and I received my PhD at the University of Tokyo. I have been working for the Japanese government including its Embassy in Washington, USA. Professor Kurokura, my supervisor at the University of Tokyo, then asked me to come back to the University to support him with setting up a new interdisciplinary study program combining economics, biology and business. So I decided to come back here and conduct research in an interdisciplinary way, which is quite new and unique in Japan. I am still strongly involved in policy advice in my position, though, and am working together with many government agencies on fishery and other international relation issues, which is my academic field of specialization. You are working on sustainable ocean management and fishery. In Europe we have the image of Japan being a country threatened by overfishing. Does this fit reality in your opinion? Well, there is a difference between the fish species and overfishing applies to a limited number of species only. The National Fishery Research Agency in Japan publishes an annual report assessing the fishery stock in the country’s surrounding ocean. The report says that approximately one half of the stock has low-level stock status, and the rest of the fish stocks are either in the middle range or in the high range stock status. The reasons why stocks are decreasing range from over-fishing, habitat loss due to land reclamations, water eutrophication, climate change and other ecosystem alterations. The populations of high-priced species such as Bluefin tuna and Japanese eel are certainly on a low level. However, these species are not only harvested in Japan but also by its neighboring countries such as China, Korea, or Taiwan. This makes the management of fishery more challenging. The fishing production industry in Japan is slowing down, due to several reasons, among them: price competition with imported fish, aging workforces in the fishery sector caused by little new recruitment of young workers, dwindling domestic consumption caused by the aging population and by busy young generations who have no time to cook fish. As for the fishery management, Japan has had a traditional mechanism to control fishing for over 200 years. This mechanism was based on a limited entry system of the new fishers combined with a system of territorial use rights. The goal was to fish for self-sufficiency (each family was given one license) among local communities. That system has worked fine as more than 90% of the fishing boats in Japan are made for small-scale coastal fisheries. But, policy reforms are required to cope with the recent aging society and other new environmental challenges. Is there aquaculture in Japan? Yes, there is aquaculture, but it is also becoming less because demand for fish is decreasing among Japan’s consumers. The traditional high fish consumption is being replaced by meat and chicken. Until the Americans came to Japan around 150 years ago, meat had even been forbidden by the Buddhist belief. This has changed rapidly in the recent years due to globalization and a changing lifestyle. Another reason is that people do not have the time anymore to prepare fish in the traditional way, which is quite time consuming. You are also a member of the International Whaling Commission. So what is your standpoint regarding whale hunting in Japan? We have species of whales which are really endangered such as blue and white whales. We have to protect them, of course. Some other whale species have high populations. Japan has a long tradition of keeping a balance between humans and animals and thinking of animal welfare. The relationship between human and animals has nearly a spiritual dimension. Japan has a lot of wild animals, for example, in the country site. Farmers complain about that. Europeans care more about the welfare of animals during their lives, we do more for their lives after death by creating cemetery monument and ask priest to prey for them. Coming to the broader topic of agriculture: In Europe, sustainable food consumption and production systems are a hot topic and much is done. Driven by energy, environmental and sustainability concerns, consumers’ awareness has risen in this respect and the willingness to eat less meat and more organic food too. So how is the situation in Japan? The interest in and awareness about these issues are very low in Japan. There are a few reasons for that. I’ll focus on my field, fishery. Consumers in Japan haven’t cared about production methods or the origin of their fish for a long time, because they had a general trust in domestic fishers. This situation has changed recently due to the increased import of foreign commodities. We had a scandal some years ago about imported fish and food from China, which was contaminated. More recently, five years ago by now, we had the nuclear disaster in Fukushima and released radioactive substances contaminated fish in the surrounding waters. So consumers got more interested in and concerned about the origin and quality of fish. As we have government rules in Japan to indicate the origin of the fish, people can see where the fish was caught. Did many fishers in the Fukushima area have to give up fishery because demand was shrinking? I do not know any numbers, but the company TEPCO, which was responsible for the nuclear energy plant in Fukushima, was forced by law to pay compensation money to the local fishers and they continue to do so. So I think that in financial terms their livelihoods have been sustained until now, but they are worried about their future. Because of its limited space (only 13% of the land cover is used for agriculture) Japan is the world’s biggest net importer of agricultural products including fish. Are there policies or goals for changing this? I don’t think this is going to change. Japan’s politicians are generally in favor of free trade (like the upcoming TIPP agreement). So even though the farmers prefer having their products protected, markets will be opened even more. Japan has many other issues with regard to its agriculture: small-scale farming and fishing, an aging farming population, a highly subsidized agricultural production (especially of rice), etc. So what are the ideas of scientists to change this and how can you influence policies in this respect? Many Japanese farmers and fishers are small-scale and their productivity is not necessarily high. Their income levels are relatively low. Many of them have their age above 60’s and receive pension so they can live. The government tries to make it more attractive to settle farmers and fishers in the remote areas. Sustaining population in remote areas has social importance as well as national security reasons as fishers have a function to monitor national borders. We as scientists give advice to the government to impose not more complicated rules, but give the local farmers and fishers more policy space for own decisions and thus to encourage autonomy of local society in the coastal area. This will make their lives and work more attractive and satisfying and probably even more effective. Regarding the subsidies, the effect of the subsidies is much lower than it seems to be when you look at the high percentages. Construction and infrastructure are included in the state subsidies provided for agriculture and fisheries. A substantial amount of subsidies are not going to the small-scale farmers and fishers directly but end up increasing the revenues of the industrial sector which produces agricultural equipment or fishing boats and gears. Twenty percent of the national GDP goes into government spending including public works like road construction etc. You have a research project in Fukushima. Can you tell us something about it? Once a month we as scientists meet with the local authorities in Fukushima to discuss and assess the situation there. We collect and provide scientific data on radioactive substances in water, soil and the fish species. We do random samples among caught fish. We can see that some of the fish species are already safe – some have migrated, some have short reproducing cycles and new generations have been born after the Fukushima disaster. Other species are still not safe for human consumption because they still have high amounts of radioactive cesium. A real problem is sport fishing. The government can control commercial fishery but not what sport fishers catch and where and to whom it is sold and by whom it is consumed.